You might think you’re looking at a Thermos, but not quite. 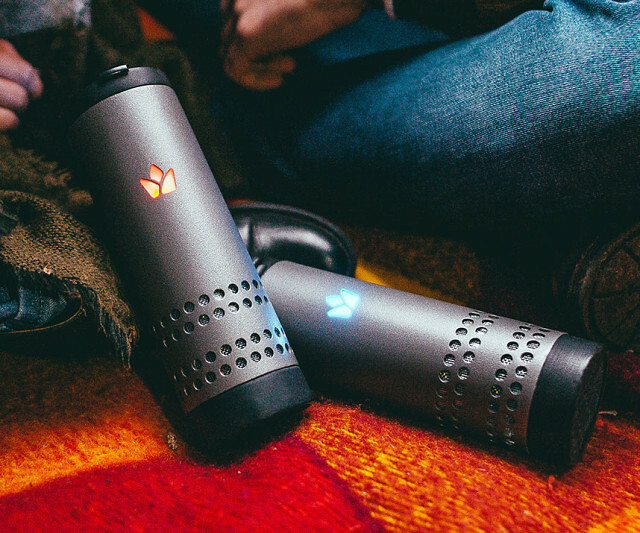 The Yecup is a connected drinking vessel with a 10,000mAh battery and enough tech to heat up or cool down the liquids it holds, and keep them there all day. If it senses the temperature deviating from what you’ve set, it’ll fire up its mechanism and bring it back. 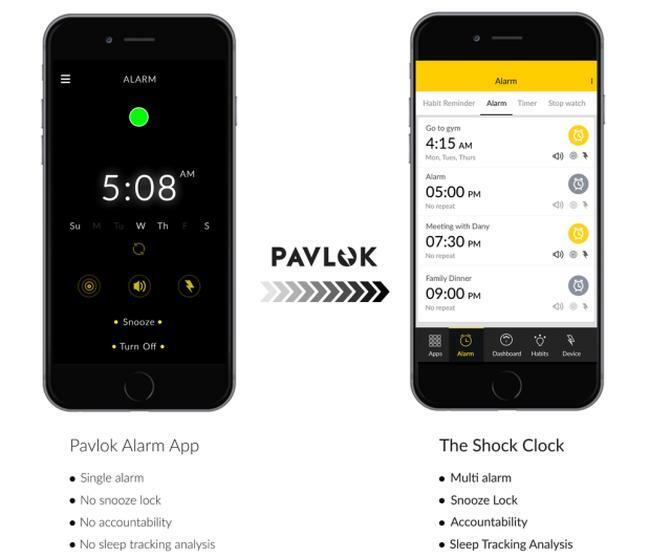 It uses Bluetooth to connect to your smartphone, through which you can make all the adjustments you want. Left in the morning with a hot coffee but suddenly realized you’d rather have an iced one? No problem. And of course, when you’re carrying a large battery around, you can use it for other things, like charging your phone or other electronics. The Yecup is made from stainless steel, and is easily washable, though it’s recommended not to stick it in the dishwasher. The 12oz. 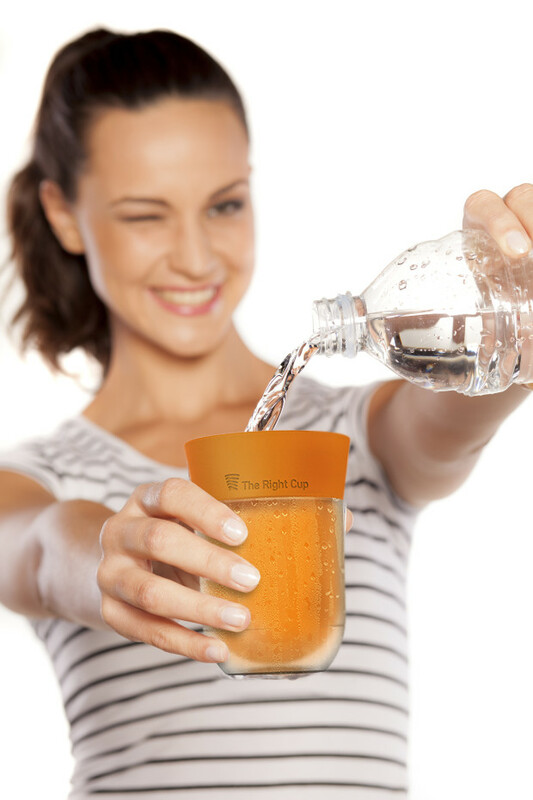 cup is fully funded on IndieGogo, and will cost you a $125 pledge. By David Ponce on 04/21/16 • Leave a comment! Because you’re fond of buying things for you cat, even though you know he’ll probably just sniff around it for a few minutes then proceed to ignore it altogether, we’d like to present the Boxkitty. 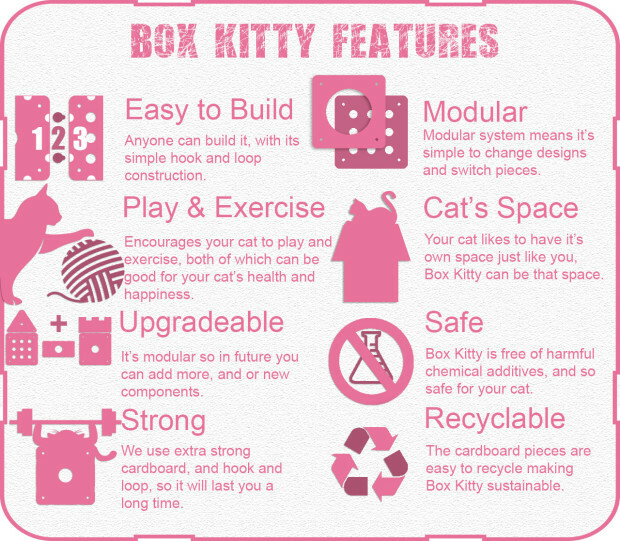 It’s a crowdfunded modular cardboard cat castle. Each module attaches to the other via velcro, and allows you to create all kinds of shapes, Minecraft-style. Build a skyscraper, a twin-tower castle, a giant cube, or a linear stripmall-style abode. The sky is the limit. Well… that and your budget: the basic set, which allows you to build two cubes and a pyramid, costs $55. For $100 you could upgrade to the Fortastic Set, good enough to build a fort made up of four cubes, a watchtower, and a little pyramid roof. The cardboard used is extra thick, somewhat scratch-proof and water resistant. Considering the lengths some people go to to please their feline friends, we’re pretty confident Boxkitty will do well, despite the campaign not being fully funded at the moment. If it does reach its goal though, you’ll only have to wait until June of this year to get your product. We hear period pains can be, well, quite the pain. The girls we’ve spoken to about it talk about loading up on painkillers, of varying toxicity, and ingesting them with questionable regularity. Well, this particular IndieGogo project promises to give them a solution that does away with any chemicals, instead opting for electric pulses to soothe the pain. 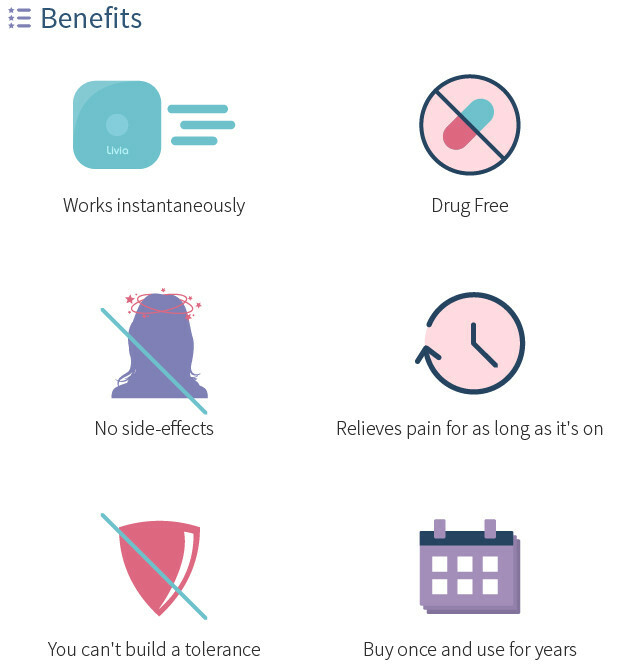 Soothe might be the wrong word, since Livia claims to be able to simply block the pain signals from reaching your brain by “closing the pain gates”. Does this hold any scientific weight? Does it make sense? We don’t know, we’re not neurologists, but we’d love to hear from any in our readership. Livia works by sticking two electrodes on your belly and activating it. Wear it as long as you need, and the pain is gone, they say. And you don’t build up a tolerance, with no side effects. Sounds too good to be true, but at an $85 to find out, we’re hoping someone will eventually fill us in on its efficacy. We’re not sure why you’ll ever need a flashlight that’s about the size of a matchstick, but they apparently exist. The Matchbook packs 8 tiny lights, with a single LED at the tip. 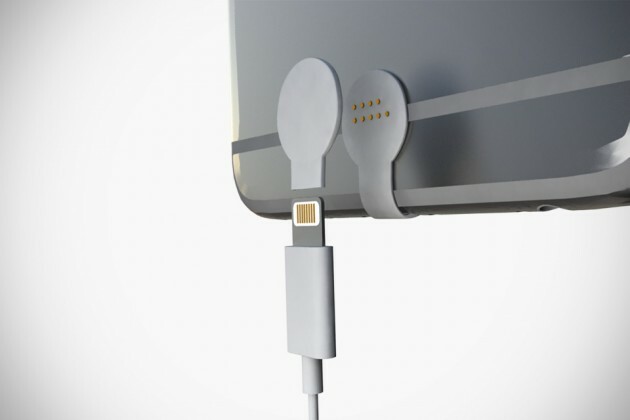 The base is magnetic, so it can easily attach to a metallic surface (provided it’s ferrous), and will last up to 8 hours. The entire set of 8 will then provide you up to 64 hours of illumination… but that’s it. They’re apparently not rechargeable, but since they’re meant to be used in emergencies, we’re sort of ok with that. They’re small enough to be tossed in a purse, a wallet, or any other small space. At $32 for a set of 8 (plus one spare one for good measure), it’s not a terrible expense. There’s all kinds of cycling computers on the market, which do a number of things from navigation, to distance and speed measurements. But there’s something to be said about Speedforce’s design. It seamlessly integrates into your bike’s overall aesthetics by simply replacing your current stem. That’s right, the stem is the device, and it does everything a cycling computer should do in a fantastically elegant manner. 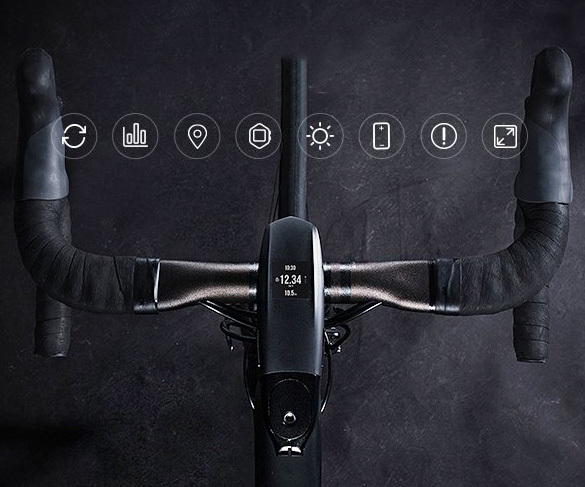 The elegant, integrated design seamlessly incorporates a GPS cycling computer with a power supply, headlight, and navigation. It becomes the stem of your bike for a full integration rather than as an extra part. SpeedForce has additional pedal and wheel sensors and a heart rate band that ensure the highest accuracy. With each pedal, SpeedForce can pick up and calculate your riding data: speed, time, distance, track, heart rate, altitude, temperature, and cadence . 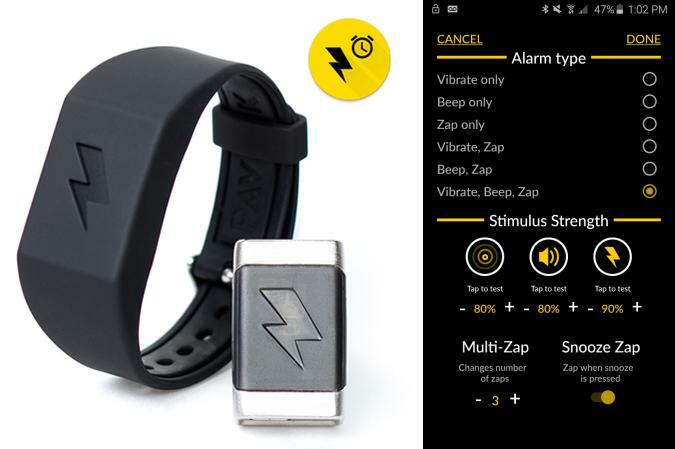 SpeedForce can connect to the smartphone app to allow real-time transmission of data to your SpeedForce account in the cloud. The SpeedForce app not only stores data from the hardware, but also gives you access to the SpeedForce community. Here, you can share photos, share achievements, compete and comment on each other’s posts. It only weighs 349g, so it won’t be adding any heft to your super light vehicle, and you can pre-order yours now for $149. By David Ponce on 11/19/15 • Leave a comment! Obesity is rampant, and sugary drinks play a huge part in this epidemic. You can replace sugar with artificial sweeteners, but some people will tell you they’re bad for you (we don’t believe this), or maybe you don’t like the way they make your liquids taste. Well, there’s another option. The Right Cup is a regular drinking vessel that’s had fruit flavours baked right into the material its made of. 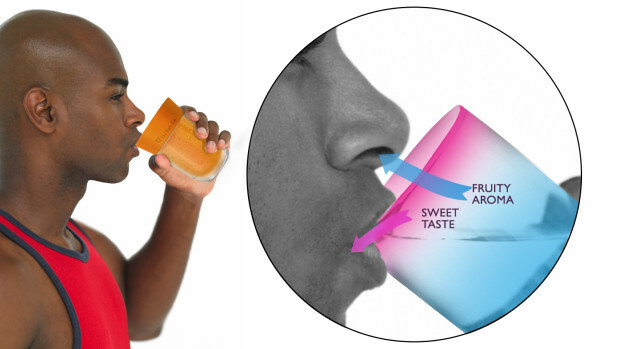 This way you can drink plain water while smelling sweet aromas, and trick your brain into thinking you’re drinking something sweet; 80% of what you taste comes through your nose anyway, which is why you don’t taste a thing when your nose is blocked. Considering it’s a $25 pledge for one, and the smell will allegedly last up to 6 months, we say it’s a worthwhile purchase. By David Ponce on 11/17/15 • Leave a comment! Slopes for GoPro is a cool little stand that gives you exactly what its name implies: a panoply of slopes with which to angle your GoPro for the best possible shot. 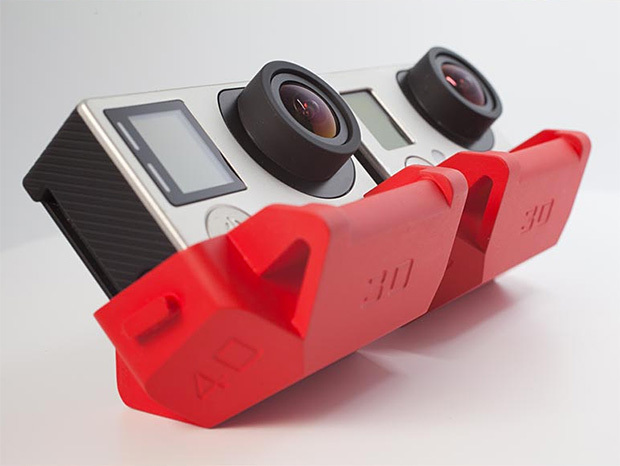 “SLOPES” is the world’s first polyhedron support for Gopro. 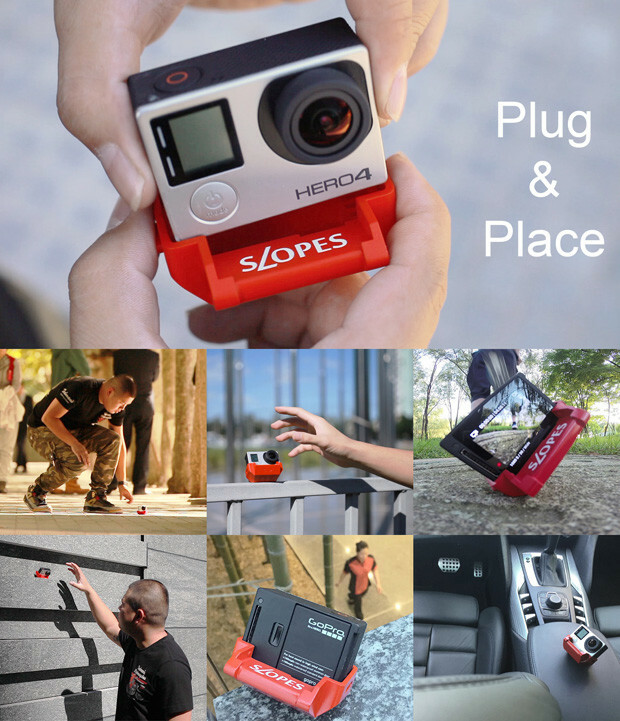 Thanks for its polyhedron bottom and 3-in-1 slot, “SLOPES” provides 20 different ways to put your Gopro, with a body even smaller than a Gopro housing. No tripod is needed any longer. It’s a really handy trick up the sleeve of any aspiring action cam enthusiast, and at $21 is cheap enough to toss in a bag and carry around with you everywhere. Funding is complete, and Slopes should ship in December of this year.